Thread: ARMS M7960 Turbine Kit for EVO 4-9 Revised! Now the moment many EVO fans have been waiting for, the Revised updated version of the M7960 is now here! PRICE DROP, & COMES WITH A BILLET ACTUATOR! Over 400 Horsepower, Ample Torque, Best Response. The Best Bolt On turbo available for the EVO 4-9. 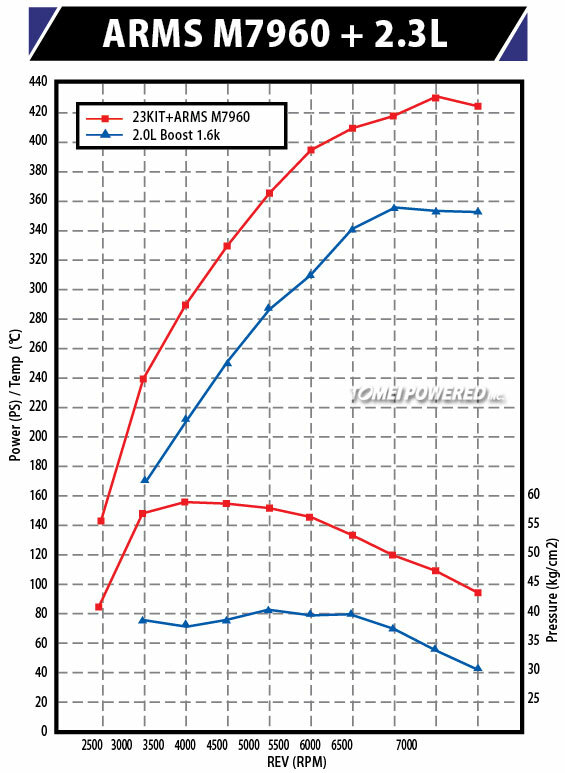 The stock turbo for the EVO 4-9 series was already an improvement from the previous models. 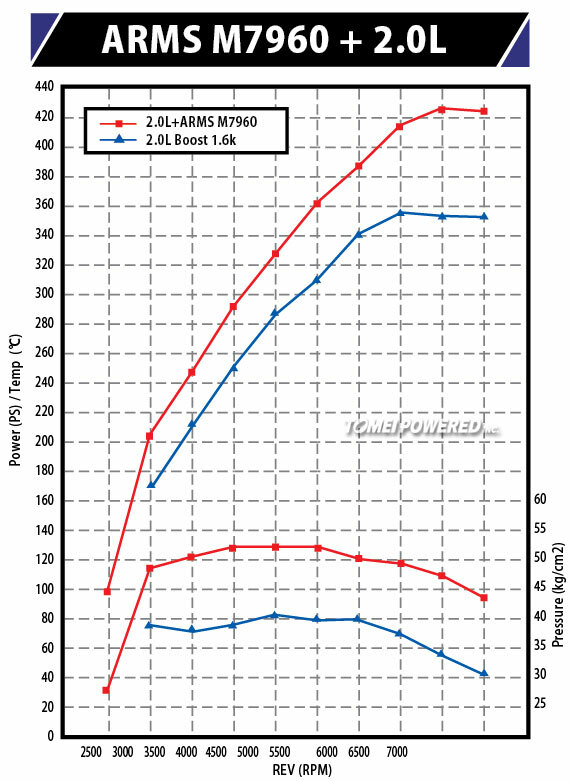 Since the turbo design is now reversed there has not been any bolt on turbos made readily available on the market until now.ã€€Our all new ARMS M7960 turbo greatly exceeds all performance aspects over the stock unit and delivers the most power and torque gains possible on a direct bolt on replacement turbo. With the design aspects of this ARMS turbo it is a good all round balance for various engine setups through all power ranges. The boost build up is neither sluggish nor abrupt; we have designed this to be natural and smooth. This characteristic provides a stress free driving experience with easy vehicle operation. Generally, a larger turbocharger relative to stock, results in decreased response of the engine. However, we have managed to keep the response equal to that of the stock trim by matching the most ideal turbine and compressor wheel. Countless hours of testing was of course performed to achieve these results. To achieve an increased peak power with the various restrictions such as the turbo size limit is considered a great achievement. We are also proud of the perfectly instant response where there is no lag and no abrupt boost pressures. It is evident that the stock turbocharger cannot maintain or extend boost pressure above 5,500 RPMs. The M7760 has the capacity to far extend this limit, making it an ideal step for further advanced tuning. Repair Parts for Rebuilds and Overhauls. All parts are kept in stock for general repairs, rebuilds & overhauls. So even from aged and or extensive use we will have parts readily available for replacement. When boost levels reach 1.6k and the engine speed hits 6000rpm, heat temperatures then soar and power drops. This is due to the turbo size. Over 400HP is attainable without sacrificing response and torque. This unit exceeds the stock EVO 9 turbo in all areas. The combined torque 2.3L upgrade + ARMS M7960 will be the perfect balance for the entire power band. 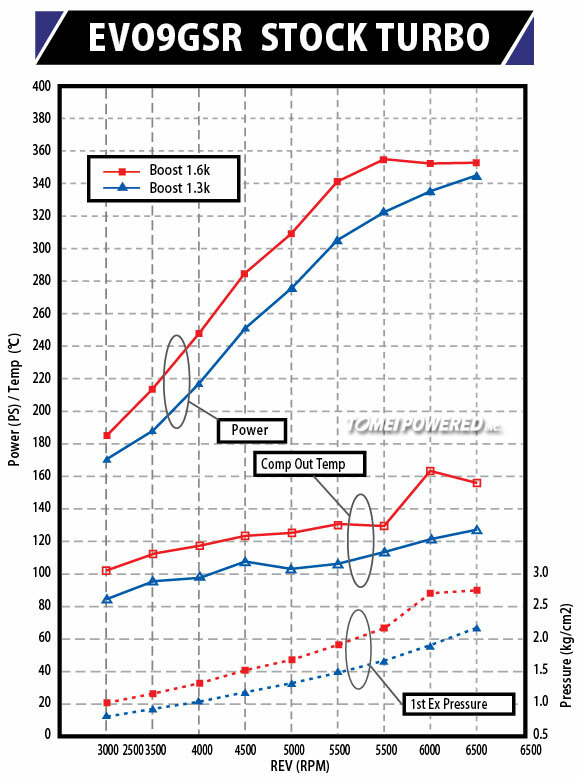 NOTE: Testing is done on our Engine Dyno rooms at TOMEI POWERED HQ in Japan Tokyo. Fuel used is â€œHigh Octaneâ€� Pump Gas which is 100 Octane. The ARMS series turbo kits all come supplied with all the required gaskets and fitting accessories for a true bolt on application out of the box. So it can be installed immediately without the need to hunt for other parts. The ARMS Turbine Kits come with a 1 year limited warranty after the product has been registered with Tomei Powered shortly after purchase. Stay tuned for more ARMS Turbos coming soon! Re: ARMS M7960 Turbine Kit for EVO 4-9 Revised! what is the minimum size injectors needed to support this turbo? We recommend a minimum injector size of 660.
for any one who want to see how this thing looks with e85, on the street here is my set up.this thing rocks! and has a great feel to its power, like it always wants to be boostin! lol. I will post some pics with the new upgraded actuator, thanks guys! Since all the components of the turbos are able to be ordered, I was wondering if Tomei was considering making a anti surge cover for the M7960. I know a lot of people complain about surge. 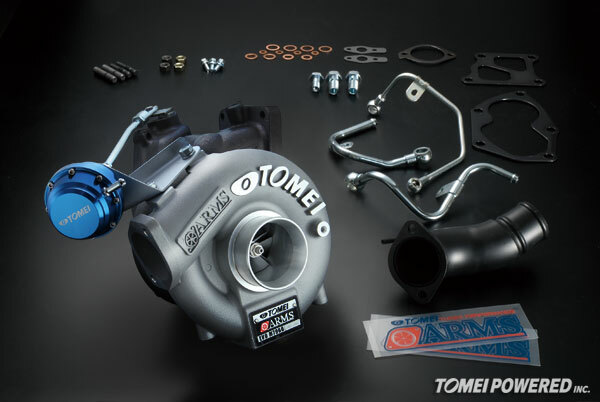 As the Tomei turbo parts can be ordered as wanted, it would be great to have an option to add one to your catalog of parts. Oh, what psi were you at on the E85 chart..? Its at 28-24 psi for e70 winter blend,Â* as far as the anti surge port cover I have also inquired about this, but I'm going to talk to them again about looking into it since I have had many people also ask me about this, I am also considering having mine modified like map does there's with a machined insert. Note I have done a significant amount of porting to the hot side on mine which seemed to help also with surge.